MusicBee is a powerful yet simple music manager and player that makes it easy to manage, find, and play music files on your computer. It supports a wide range of audio formats, including MP3, WMA, AAC, M4A and many others. MusicBee has many features such as smart playlists with the ability to discover and play new music from the web, advanced tag editing with automated artwork and tag lookup, folder monitoring, automated file re-organisation, portable device synchronisation, and secure CD ripping with AccurateRip verification. 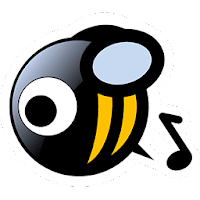 Disclaimer: Direct downloads for the lastest version of MusicBee 3.1.6466 are provided by the official software's author, we can't guarantee safety, availability or download speed. Moreover, we don't and we won't provide any pirated/illegal versions or tools. We recommend you to avoid it as these methods can harm your device. If you like the software, buy it to support the developers. (We provide software discounts for many worldwide brands).